Last month, at #TheCityGirls event I managed to bag myself a couple of Derma V10 moisturisers & because I'm a massive skincare geek, I couldn't wait to try them. Derma V10's motto is 'love yourself for less' and I for one am a massive fan of it - I'd like to think beauty products that cost less than a fiver still have similar ingredients & a similar effect to those costing triple the price. Hands up if you're with me? I've never really been one to splash the cash when it comes to beauty products as you'll have seen on my blog and with these two being stocked at places such as bodycare, savers & home bargains I think they'll suit my purse strings just perfectly. The Derma V10 day cream is quite thin in texture however don't let that put you off because this product packs a massive punch with its' injection of moisture. It feels fabulous once applied & leaves the skin feeling nourished, radiant and positively glowing! It's surprising how much good this product does to the skin & because a little goes a long way I'm sure this 50ml tub of goodness will last me a really long time. 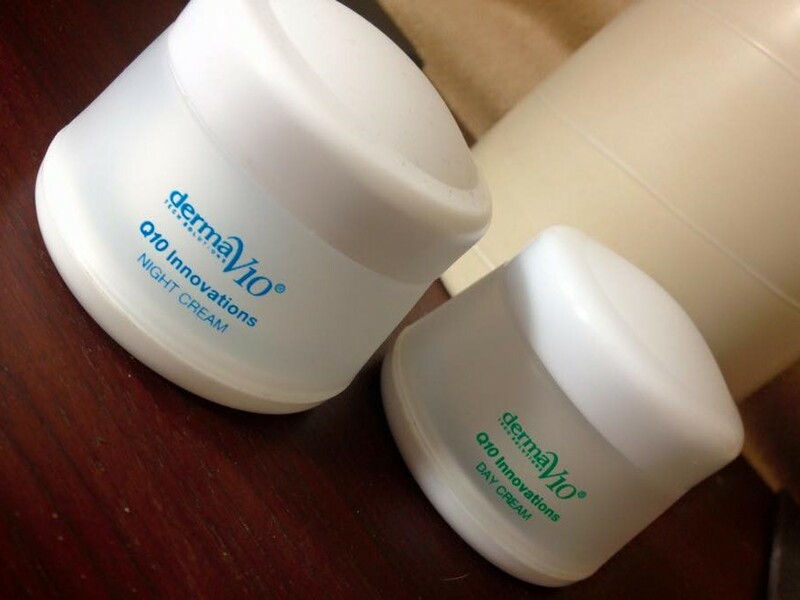 The Derma V10 night cream is much thicker in comparison and feels a lot richer upon application, much like a lot of night creams. Personally I prefer this thicker texture as I like my skin to feel deeply nourished and completely lathered in a product. Again this comes in a 50ml tub & I've barely scratched the surface with it, so thankfully it'll keep me going for quite a long time. I don't have particularly bad skin, so I can't judge the Derma V10 moisturisers on their abilities to retain firmness but what I can say is that they've given my skin an extra bit of oomph that I'm currently loving! Have you tried anything from Derma V10? I've been really impressed with the products I've sampled, I'd love to explore the brand a bit more. 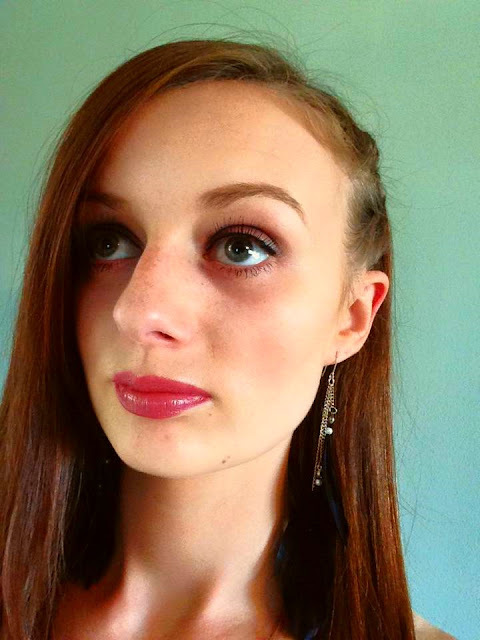 If you're a regular reader of my blog, you'll know that a little while ago I had the opportunity to try out a pair of Esqidos' unforgettable false lashes which I really enjoyed wearing! They're a little more fluttery & wowser than what I would normally go for, so when my inbox pinged a couple of weeks ago asking if I wanted to try a set of my choice, I jumped at the chance! 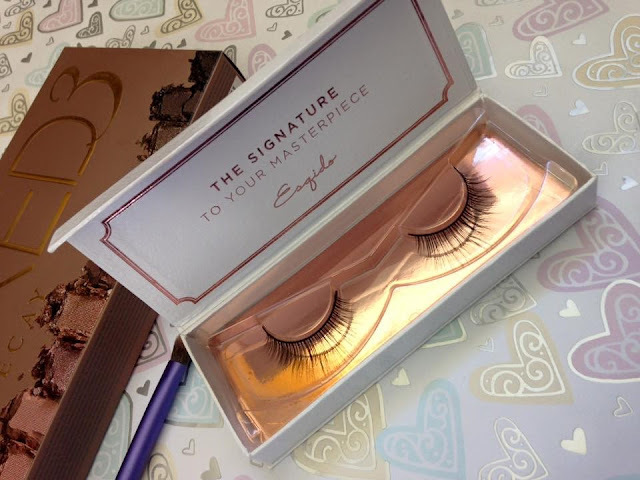 I took a good look at the Esquido mink eyelashes range & ended up opting for the Little Black Lashes which only adds light volume to your peepers, keeping them looking relatively natural. I chose this pair as I'm a bit of a noob when it comes to falsies, I used to wear them all the time in my teens however since I've stopped it seems I've lost the knack of applying them and it always takes me a good twenty minutes to line them up. They do some beautiful lashes mind if you're after a bit more volume, the lashmopolitains' & lashorettes' are stunning! If only I was brave enough! 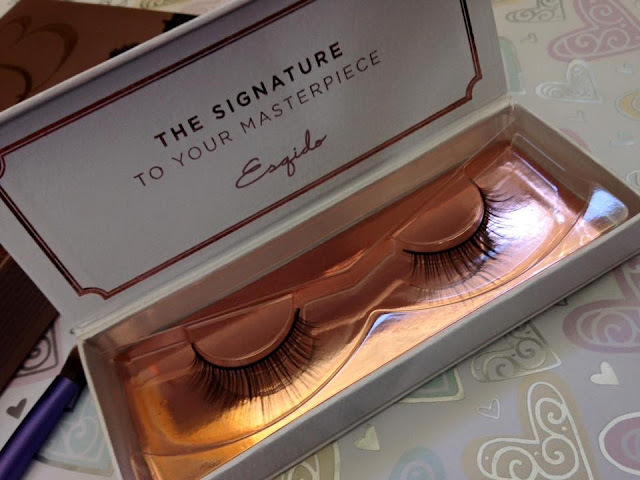 As with all Esqido falsies the Little Black Lashes came in the most gorgeous rose gold packaging. I've mentioned before that I'm not the biggest fan of rose gold however with these lashes I think the packaging really works. They look stunning on my dressing table! Very Pintrestworthy indeed! Esqido lashes are relatively easy to apply.. Even for someone as useless as myself! I used glue from another set of lashes (because Esqido sell theirs separately) and let the glue go slightly tacky before applying. Just by waiting 40 seconds before applying them worked wonders, all it took was a little bit of strategic tweezer action & I was away! I absolutely love the way these Little Black Lashes look, they're not too in your face but they still give your eyes the perfect amount of flutteryness! They're really lightweight & easy to wear, it doesn't actually feel like I'm wearing false lashes if I'm honest, which is amazing. These mink lashes claim to last up to 25 wears so I'll 100% be wearing these for evenings out. I think they look fab and I definitely prefer them to the Unforgettable pair I already have. Have you tried any of the Esqido mink eyelashes before? What do you think to this subtle addition of flutteryness? Unless you've been living under a rock for the past month you'll know I had the amazing opportunity a few weeks ago of attending the amazing #TheCityGirls event at The Liquorist in Leeds! I had an absolute blast at the event an was gifted with some pretty awesome products as I headed off. Two products that immediately caught my eye were that from the brand MooGoo. I'm pretty into my skincare however MooGoo (how fun is that to say by the way) isn't a brand I'd personally heard of. MooGoo are an Australian skincare company who have developed their products, once used for moisturising cows udders into a much softer and lighter product suitable for human consumption. Even now I'm not sure if I'm a little bit freaked out by udder moisturisers (please tell me if you feel the same) I was intrigued by these products and couldn't wait to give them a go. The Milk Wash contains six natural glucose and coconut based cleansers as well as other ingredients to provide the skin with added moisture. MooGoo have found using a number of ingredients in their products helps fight irritation, a smaller amount of each cleanser is much less irritant than only using one ingredient - You can find out exactly what goes into each of their products online, MooGoo have a pretty amazing ingredient & description list for each product, so take a peak, it's really impressive! On application the Milk Wash is ridiculously silky, it slips so easily onto the face and lathers surprisingly well. The product has a faint milky/creamy scent which if I'm honest I'm not overly sold on... I don't love it, but I don't hate it at the same time. Luckily for me however the scent disappears rather quickly. The product feels refreshing and cleanses the skin well whilst injecting some much needed moisture. MooGoo's Full Cream Moisturiser is a creamier version of the original udder cream & designed particularly to help fight irritated skin. The Full Cream Moisturiser contains almond oil & raw coconut oil which are both high in fatty acids, useful for troublesome skin. The moisturiser is super duper thick (the best kind if you ask me) and although it does take a bit of work to sink into your skin it works fabulously well. I love it & I can see the difference in my skin from using this product. The Full Cream Moiisturisers' scent is highly creamy, even more so than the Milk Wash. I'm really not a lover of cream so for me the scent isn't appealing whatsoever however what it actually does to my skin is amazing! So much so that I can totally look past the creamy scent. I've been using the two products together for a little while now and even though the scent isn't particularly my cup of tea, the products work an absolute treat. I'm really enjoying using the Full Cream Moisturiser as personally I prefer a thicker, richer product to lather my face with & this one's brill. I can definitely see myself repurchasing this little product when my tubs empty! Thank you to #TheCityGirls for introducing me to this beaut. Have you tried any of MooGoos' products before?